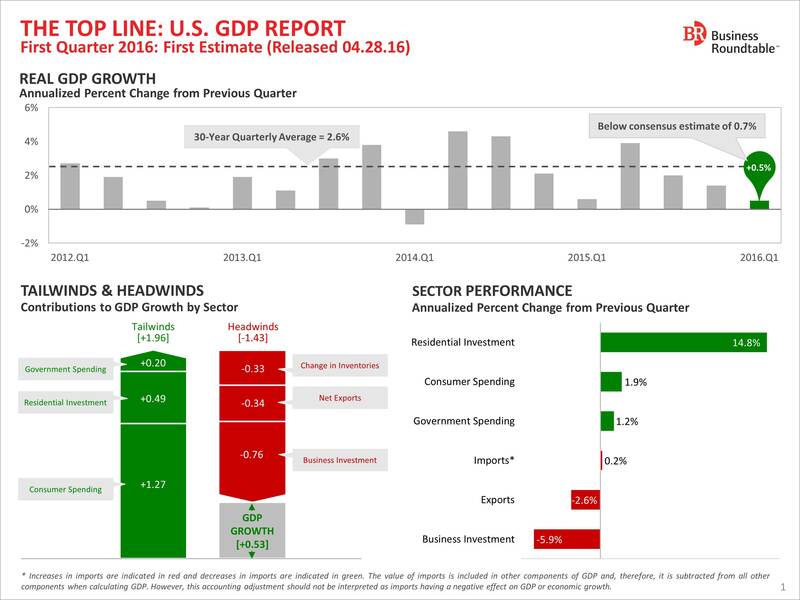 The U.S. economy grew by just 0.5 percent in Q1 after expanding by 1.4% in the final quarter of 2015, marking the third consecutive year with disappointing first quarter growth. 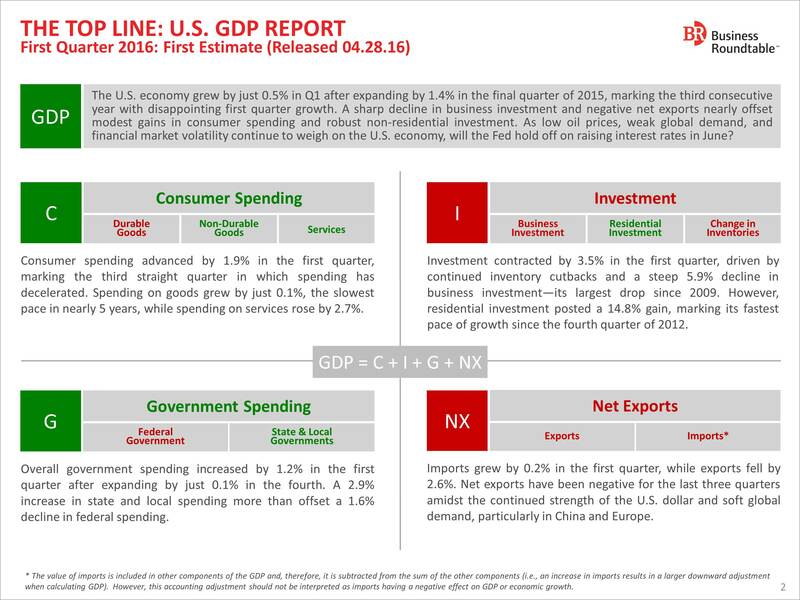 A sharp decline in business investment and negative net exports nearly offset modest gains in consumer spending and robust non-residential investment. As low oil prices, weak global demand, and financial market volatility continue to weigh on the U.S. economy, will the Fed hold off on raising interest rates in June? For more analysis, see The Top Line below and in .pdf form here.